*Pay may vary depending on experience. Officers are eligible for incentive pay for education and team participation. 1. Team pay is limited to a maximum of 2 teams per officer. 2. Instructors are required to teach 40 hours annually to qualify. 3. 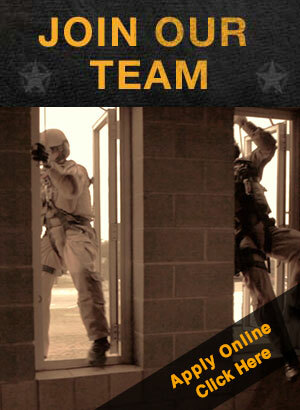 Negotiators are included in the Tactical Team. Regular full time (40 hour) employees earn 6 hours each bi-weekly period. Regular full time employees with eight or more years of consecutive service earn 8 hours each bi-weekly period. 171 hour employees earn 9.75 hours each bi-weekly period, which includes holiday time. 171 hour employees with eight or more years of consecutive service earn 11.75 hours each bi-weekly period, which includes holiday time. Employees are eligible to use accrued personal leave after two weeks of continuous service. Holidays are designated each year by the Commissioner’s Court. Regular full time (40 hour) employees are eligible for all holiday leave/pay. 171 hour employees, regular part time and seasonal employees are not eligible for holiday pay. Employees may take three days leave with pay for the death of an immediate family member. Age plus years of service equals 75. Employees can participate in a pre-tax retirement savings plan with financial services via payroll deduction. Employees are eligible to join the Alliance Federal Credit Union and open savings accounts, credit cards and low interest loans and make payments through payroll deduction. County employees are also eligible for corporate priced health club memberships; discount offers for area sporting events and entertainment; computer training and opportunities for advancement. Note: See an employee handbook for a detailed explanation of benefits.